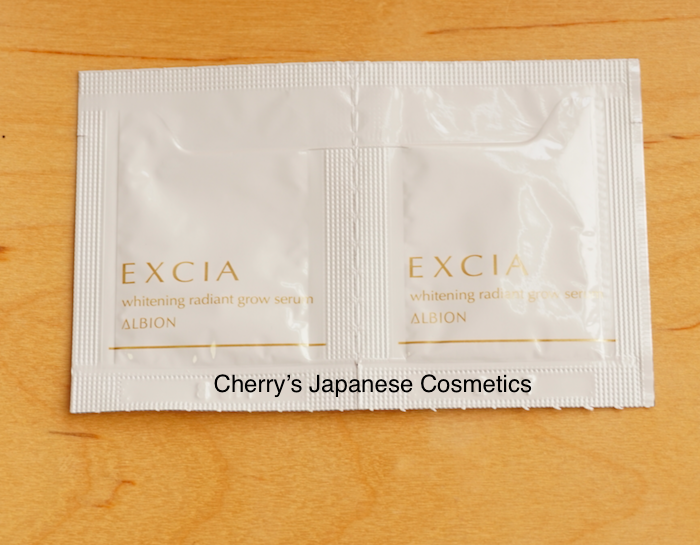 I (Cherry) got a sample ofAlbion EXCIA AL Whitening Radiant Glow Serum, a foundation primer. Let me review this. This is new for SS2017, it is changed from Cleary White Serum MX. 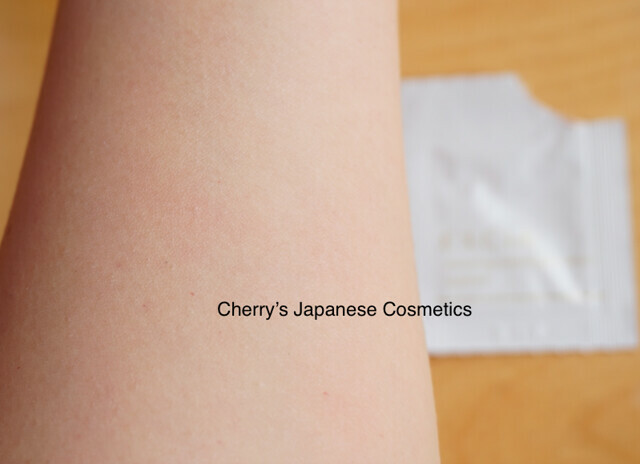 This is a typical foundation primer, and the good thing is its sunscreen effect, SPF43・PA+++. I think it is great. 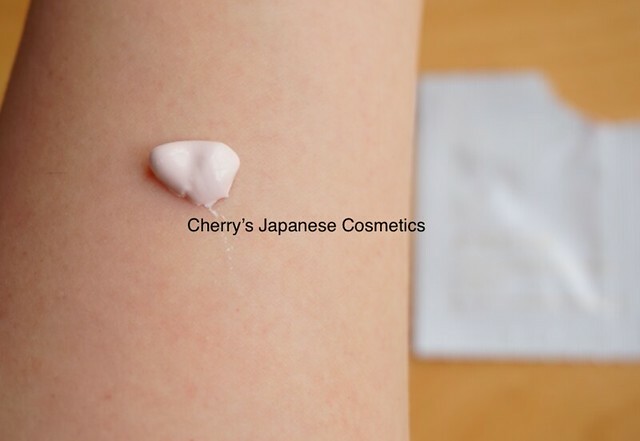 My arm’s skin condition is good, and to be honest, I did not satisfied with the finish of this primer. It has neither color controlling effect, nor effect of making your skin glow (to cover your pore), even the name of “radiant” or “glow”. It changed my skin shade white, and this is not I am looking for. I need something make my foundation fit smooth. I guess it may be good combination with powder foundation, as the previous formula (Cleary White Serum MX) was. Let me show you the combination of previous formula and powder foundation. What is the effect of this? If you apply your foundation, especially powder foundation directly, it often gets really easy to run or something “balls” on your face. It is just basic foundation primers effect that is to prevent those problems. Are there any good reasons to choose this (not affordable price)? For me, no. But it is also true that there are some foundations and primers what are good compatible or not. If you are choosing Albion Excia Al Foundations, especially their powder foundations, you have no worries about that. This is with Albion Excia AL White Premium Powder Foundation. I guess this formula will be also nice to the white premium powder foundation. Please check the latest price, and order from here: Albion EXCIA AL CLEARLY WHITE SERUM MX, or wanna order in Japanese Yen? Here you are!